What's the best way to encourage others to write? When I led my first writing workshop nearly 10 years ago, I didn't know much. While equipped with enthusiasm, I wasn't a teacher. I didn't know how to manage a classroom, or even a handful of youngsters, but I was eager and energetic. So I did what I always do; I looked to books to show me how. Since that first workshop, with a group of teens, I've worked with writers from age 8 to 80 — in schools, homes, art centers and summer camps. We've written together in classrooms, in parks, in restaurants, on bridges, and on mountain trails, and I'm grateful for books that provided me the confidence and knowledge to teach. Wondering how to infuse your classroom or community with poetry? Read these! BananaVerse — Yes, that’s right, banana as canvas for poetry! Rock Poetry — Write on a rock, a leaf, a stick, a stone. Poetry Poker — This is my all-time favorite, and always a hit with kids. Where Dr. 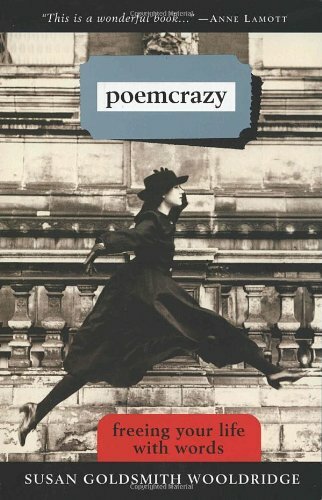 Alphabet is wacky and wild, Poetry Everywhere is more measured and reflective. This bestselling book is a valuable guide for those working with children. It's packed with 65 proven writing exercises, and more than 450 example poem by students, teachers and accomplished poets. 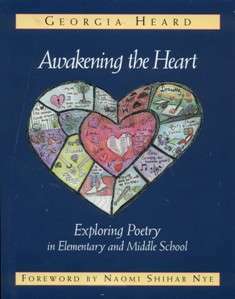 As a teacher, this provided me with a solid understanding of writing prompts and tips on how to lead a poetry session. My favorite prompts include: I Remember Poems and Going Inside Poems. My copy of this book is so loved and worn that I can barely make out the words for the post-it notes marking every other page. I've given this book as gift more times than I can count, and when I'm feeling lost in the literary forest of "why bother?" I turn to this gem again and again. Offering a gentle blend of writer's reflection and practical prompts, this guide is, in the words of Anne Lamott, "smart, wide-eyed, joyful, helpful, inspiring." Wooldridge's first-hand experience as a poet-in-the-schools provides practical knowledge, but these exercises — and the spirit of this book — extend far beyond any classroom assignment. Both inspiring and practical, this how-to guide goes deep. Teaching poetry is more than teaching terms (stanza, iambic, etc) and Heard understands that young writers need to first feel comfortable and safe. She shares tips and tricks to create an environment that encourages self-expression, and then introduces poems and activities that will engage young writers. Equipping the teacher with tools is the first step, and with a heart that can open other hearts is the next. Do you teach? What books have you found helpful? Newer PostThankful Thursday: What's a typewriter? Older PostThankful Thursday: Out of Luck?